The regulateur complication involves modifying the movement such that the hour and minute hands are separated. In this watch, the hours are represented in a circular subdial at 12, while the minutes use a centrally mounted hand. Finally, the seconds display balances the hour display and is positioned at 6. We prefer the design of this regulateur above many others that we have seen for a number of reasons, including his mix of Roman and Arabic numerals, his cleanly designed silver dial with etched patterns and of course what he does to his movements. 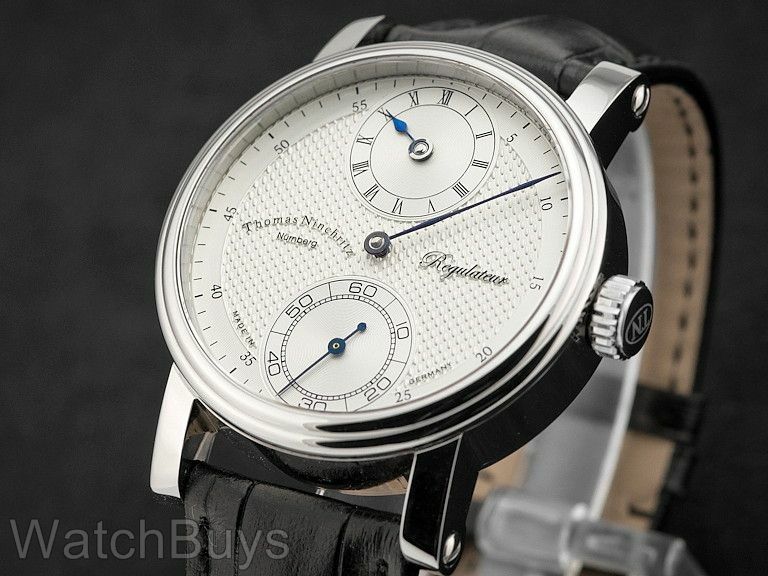 The Thomas Ninchritz Regulateur is a watch with a rich design and elaborate finish. Verified Owner Comments: This watch is a joy to own. The textured face is gorgeous and even more impressive when you see and wear it in person. It is hard not to stare and admire it. Verified Owner Comments: Super zegarek (watch). Bravo! 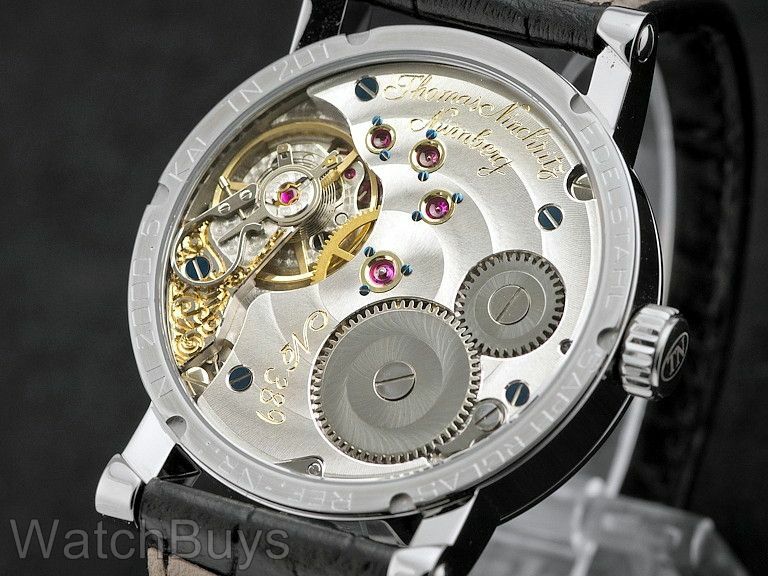 Verified Owner Comments: Ninchrtiz, the Artist becomes very evident looking at the movement of this watch. It is an eclectic blend of swirls, curves, engraving, textures and colors that provide a mesmerizing feast for the viewer. The face is just as stunning! It is dressy and classy yet shouts out "Look at Me!" Ninchritz the watchmaker is very evident in this watches accuracy - 16 days - only 28 secs. fast! COSC watches aren't even held to that standard. Plus, I love the fact that this piece is designed, decorated, assembled and adjusted by the man whose name adorns the dial. Placing it in a small, elite group of time pieces. Top all that off with WatchBuys knowledge and impeccable service and you have a watch that will hold a prominent place in any collection. I know that I LOVE mine!